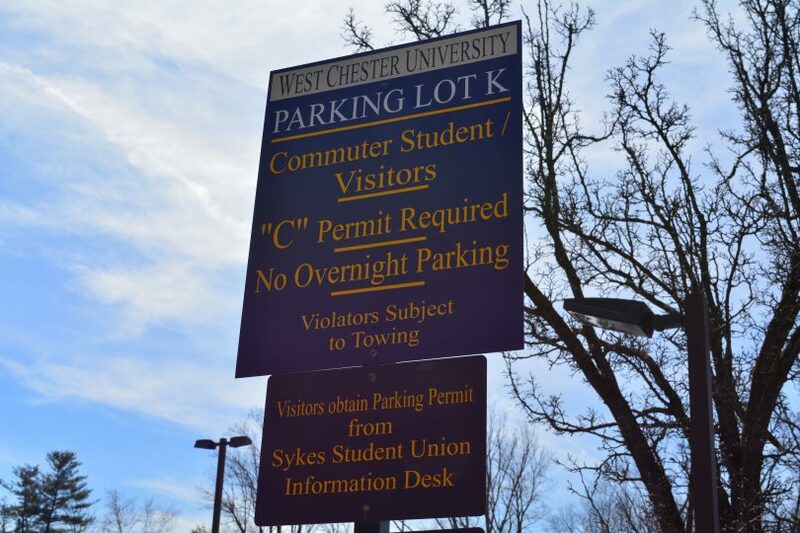 Prior to the start of the 2018 fall semester, West Chester University announced that the parking lot outside of Lawrence Dining Hall would be placed under construction, effectively taking away 250 on-campus parking spots for both students and faculty. According to an email sent out by the Department of Public Safety, the construction will last until at least 2020. As a commuter student myself, I have a difficult time finding parking almost every time I come to campus. Sure, there are a handful of parking lots reserved for commuter students, but if you arrive to campus any time between 10 a.m. and 6 p.m. on a weekday – good luck finding a spot. Luckily, driving and parking on campus isn’t the only option commuter students have here at WCU. There are a plethora of alternative options to parking on campus. And if you’re not interested in public transportation, there are also options provided by the University that make finding available parking easier than ever. Septa has been providing public transit for years now, and they have a few stations near our campus. If you hop on the Paoli/Thorndale line, you can get off at the Exton station and hop right on a shuttle bus that’ll bring you to campus. This shuttle runs Monday – Friday from 8 a.m. – 5:30 p.m. The shuttle bus also goes both ways, so the same shuttle that drops you off on campus will take you back to the Exton Train Station once you’re done for the day. This option is great for students who live out of town. Not only will your commute in the morning be much shorter, but you’ll end up saving a lot on gas money as well. WCU just implemented this service last semester, so not many students are aware of it. But, it’s very useful for students or faculty who live in the West Chester Borough. Uptown Loop provides a shuttle service that transports students and faculty from several residential and commercial locations in the borough. Some of these locations include the Chester County Hospital and the Bradford Plaza Shopping Center. It takes approximately 30 minutes for the shuttle to hit all the stops on its route. The bus starts its loop at 6:45 a.m. at the Church St. bus stop and makes its final stop back at Church St. at 10:15 p.m. So, if you live in the Borough and typically drive to campus, this might be worth checking out if you’ve had trouble finding parking on campus. If you normally carpool to campus with a friend, this service will save you an enormous amount of time finding a parking spot. All you need to do is have both of your commuter passes visible in the windshield and you’re good to park in any of the 13 RideShare Parking Spaces spread across campus. These spots are in Lots A, B, G, K, L and M, and they’re marked with a sign that says “RideShare Parking.” If you try RideShare out and like it, you may also want to check out the number one option on my list, RideAmigos. RideAmigos connects you to everyone who’s trying to carpool in the area, making it easier to find a partner to use a RideShare parking spot with. Out of all these alternative options to parking on campus, RideAmigos provides the most information to users. Like I said before, if you’re a fan of carpooling, this app will only make it easier for you to find another carpooler. Registration for the website is free to anyone with a wcupa.edu email address. Once you’re logged in, RideAmigos will ask you your starting point and campus destination. Once it has that information, you’ll be given detailed information on: driving directions and traffic conditions, carpooling opportunities, public transit routes and schedules and even recommended bicycling and walking routes. It is all of the options combined into one service and then some. If you want to carpool, you can choose how often you’d like to carpool and if you’d like to ride with students or faculty. If you decide to walk or bike to campus when it’s nice out, RideAmigos will track your calories burned, money saved, CO2 reduction achieved and you’ll earn badges that you can share with your friends on the app. RideAmgios helps you save money and time, and it allows you to take control over your commute to campus.